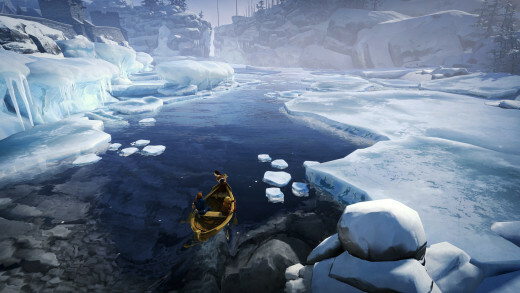 Brothers: A Tale of Two Sons begins on a somber note. The youngest of two brothers visits the grave of their mother, who drowned at sea before his eyes. Tragedy appears to rear it's ugly head once again as their father has fallen gravely ill. A mystical tree, far away from home, contains the only hope for a cure. It's up to two sons to embark on an unforgettable journey that will put their companionship to the ultimate test. 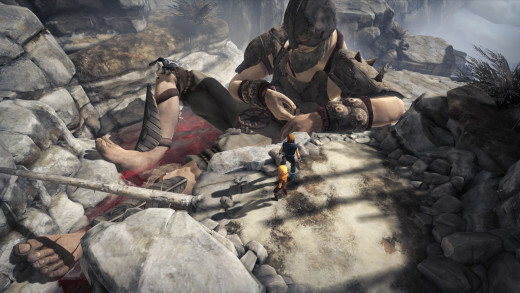 Brothers takes place in a fantastical land filled with creatures such as trolls and giants. The trek takes the boys through a variety of locations including rolling farmlands, a dank underground factory, to abandoned villages and arctic wastelands. The scenery conjures emotions ranging from serene to awe-inspiring, seizing my imagination and didn't relinquish it until long after the credits rolled. Characters in this world speak in a strange gibberish but talking to people and messing with objects provides a good look at the brother's personalities. Speak to someone with big brother, and he may politely ask for directions. Little brother, however, might annoy with that same person or challenge him to a game of rock, paper, scissors. One interaction in particular cracked me up: a vase with beautiful flower earned big brother's admiration while little brother simply knocks it over, shattering it. Actions speak louder than words and every disagreement or act of selflessness between the two made their bond feel genuine, causing me to form a strong attachment to the pair. Interacting with everything you see is important not only for character development, but also because there are several hidden side-quests. A grief-stricken man who'd just lost his family in a fire nearly took his own life before the boys intervened and we helped reunite a group of baby sea turtles with their distraught mother. Scenarios such as these are easy to overlook so keep a watchful eye on your surroundings at all times. Control of each brother is assigned to one of the analog sticks: left for big brother, right for little brother. Each sibling has their own interact button for actions such as grabbing and climbing. It's a deceptively simple control scheme because the real challenge comes from controlling the siblings in tandem which takes a while to wrap your brain around. There were many times when I'd forget which stick controlled which brother, or would instinctively try to control the camera with the right stick, often sending little brother on an aimless path. 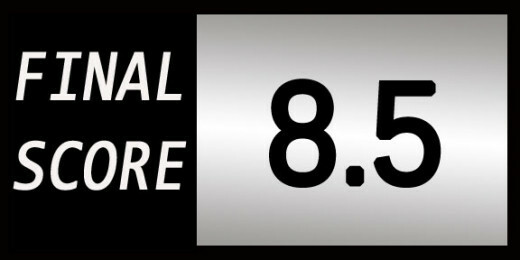 Puzzles generally challenge player's dexterity more so than intelligence. Mustering the coordination to perform tasks such as carrying beam through a room full of obstacles sounds dull but is surprisingly satisfying. 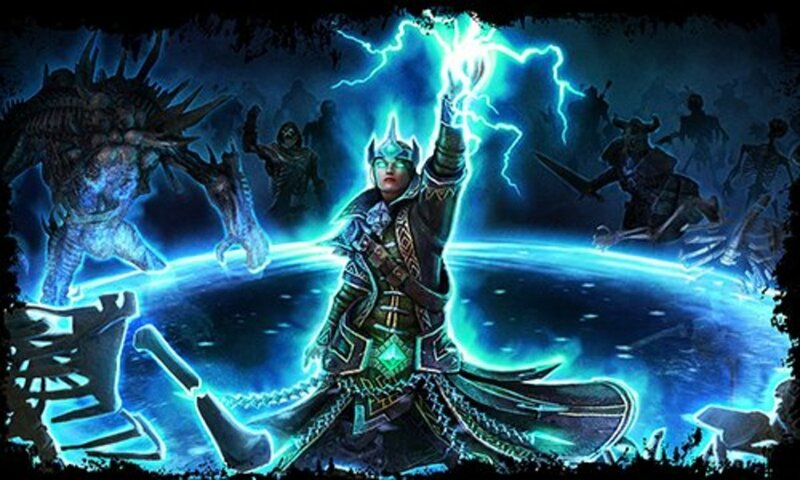 Clever mechanics and continuous variety keep the fun fresh throughout the adventure. 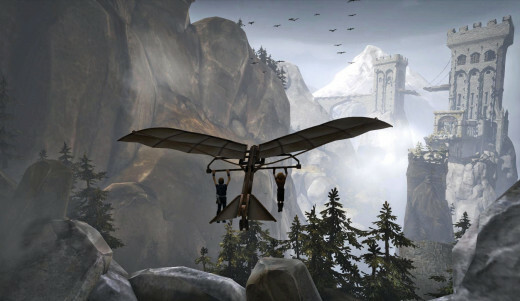 At one point, the brothers must reach a mountaintop castle by flying a glider. Steering the aircraft requires players to shift the distribution of weight by moving the boys from one wing to the other. A rowboat area is realistic and tense because you must harmoniously paddle both oars to stay on-course while avoiding aggressive whale-like creatures. One of my favorite segments was a wall-climbing area where the brothers were tethered together by rope. 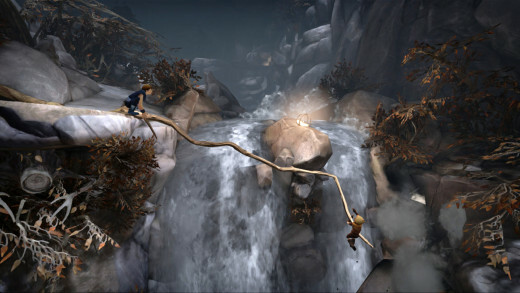 One boy acts as the anchor while the other swings across large gaps to snag distant platforms. 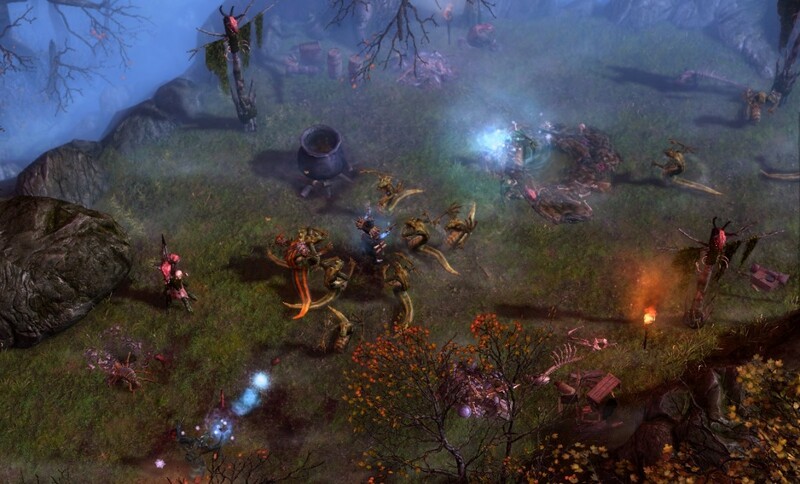 Unique mechanics such as those are usually tied to specific environments, making every experience memorable. 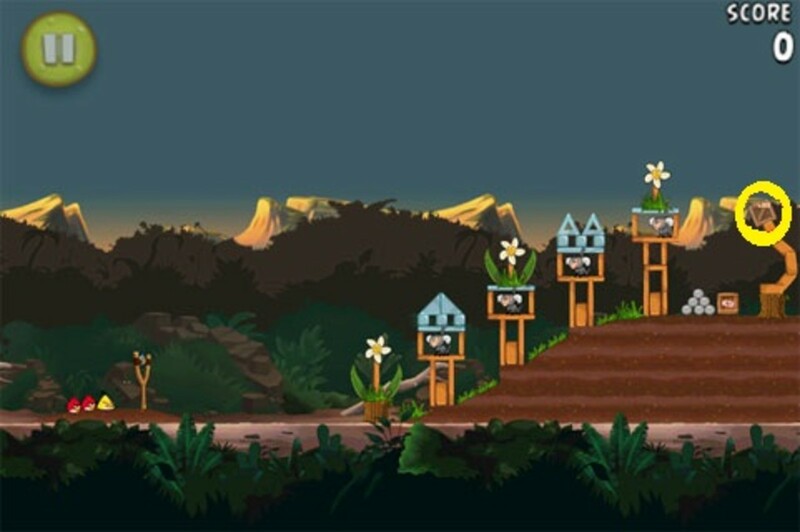 Several areas focus on using one boy's individual skills to help the other cross obstacles insurmountable to him alone, similar to games such as The Adventures of Cookie & Cream. For example, big brother is strong enough to pull heavy levers while the younger brother's small size let's him squeeze through narrow openings. An important one to note is that due to the traumatic nature of his mother's death, little brother is terrified of water and must rely on big brother to safely ferry him across it. I say it's important because that trait, as well as little brother's other short comings, play a large part in the rather brilliant finale. As fun as Brothers is, it runs into a few technical hiccups along the way. Textures can take a bit to fully load when entering new areas or during cutscenes and a few are pretty muddy overall. Certain animations are stilted, leading to occasionally jarring transitions. The worst glitch I encountered was a game-breaking bug during the second chapter. A puzzle's solution wouldn't trigger, completely halting further progress, forcing me to restart the chapter from the beginning. Despite these setbacks, Brothers' clever gameplay and powerful storytelling superseded most of its negative aspects and I couldn't wait to see what trials the boys would have to conquer next. 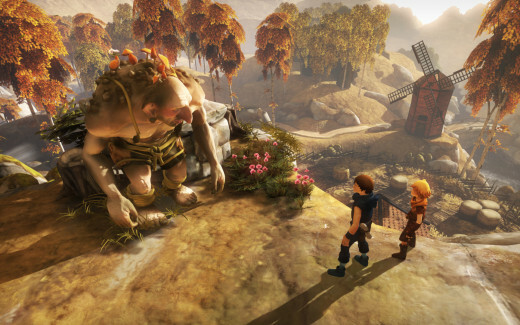 Brothers: A Tale of Two Sons oozes charm, imagination, and packs a surprising emotional punch, making it one of the best downloadable experiences today.